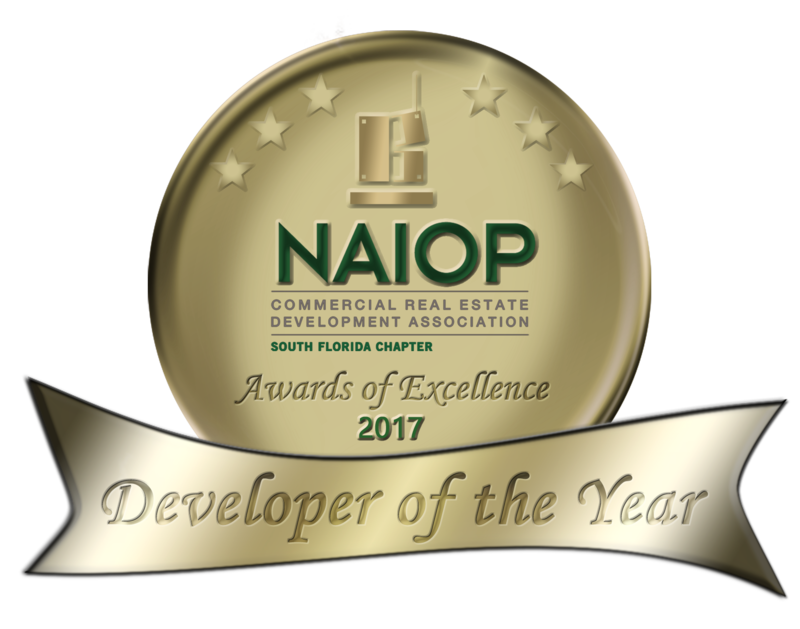 Butters is truly honored to be 6x Winner of the NAIOP Awards of Excellence “Developer of the Year” for the South Florida Chapter. This award recognizes and celebrates the organizations whose achievements have contributed to the local commercial real estate industry, benefited the regional business environment and facilitated economic growth. 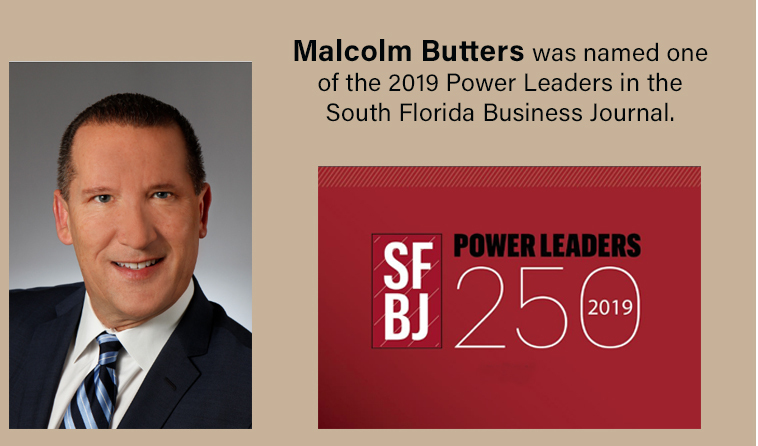 This award is a true testament of teamwork, creative minds and commitment to bringing South Florida some of the best commercial projects that help shape the skyline of Commercial Real Estate. Hillsboro Technology Center is a joint-venture with Bristol Group, turning a 75 acres abandoned gold course into a 1 million Sq Ft. business park in Broward County. Transforming the former Deerfield Country Club golf course into the current job-generating Hillsboro Technology Center required hurdling major obstacles – and some good old fashion developer ingenuity and reacting on a dime to the market. Pompano Industrial Venture LLC, is a joint development between Butters and institutional capital partner BlackRock. PCCII is a four-building warehouse and distribution campus totaling 376,644 square feet, valued at $36 million and currently 50% leased to office Reworks, Midwest Hose and Electriduct. Medley Logistics is a 560,000 Sq. Ft Spec Industrial building valued at $55 Million. This Joint Venture with L&B Advisors sits on 10.4 Acres located at 8502 NW 80th Street, Medley FL. 33166. 3010 military, located at 3010 N. Military Trail, Boca Raton FL is valued at $9 million. The 30,000 Sq. Ft building was fully renovated in 2017 bringing the occupancies from 0% to 75 %, with projection for a fully leased building this year. Midtown 1900 is located at 1900 NW Corporate Blvd, Boca Raton FL. The asset is a 116,656 Sq. Ft comprised of three office buildings in the Glades corridor, valued at $22 million. When acquired it was 78% leased and is currently 90% leased. Extensive renovations were completed close to $1 million. Magic Leap, commissioned Butters to help build/ design their 250,000 Sq. Ft. Campus in Plantation. The project included contemporary offices and redevelopment space. 851 Broken Sound, a 61,628 Sq. Ft building was acquired in 2016, valued at $12 Million. At the time of acquisition the building was 20% leased, and currently it is 88% Leased. Butters spent close to $1 million in exterior renovations, completed tenant improvements, for a total investment close to $3 million. Elite Aluminum hired Butters to design and build a new 165,000 sq. Ft Industrial Manufacturing plant located at 5255 Johnson Rd, Coconut Creek with a value of $15 Million.